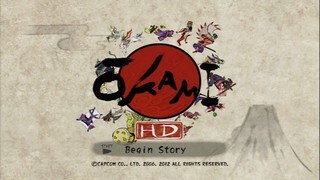 Ōkami puts the player in control of the sun goddess Amaterasu in the form of a white wolf as she treads through an amalgamation of Japanese myths and folklore to save the land from darkness. Acclaimed for its exceptional art direction and great world design, this game has proven itself to be an excellent send off for the PS2. Best New Game+ time: Single-segment 1:25:56 by Nicolas 'PillsOfDeath' Ziane on 2014-03-26.